If you’ve experienced any chronic obstructive pulmonary disease (COPD) symptoms, you may have read about severe bronchitis. But what is chronic bronchitis, and how do we treat it? Your chronic bronchitis will first reveal itself as a persistent cough. Inflammation of the bronchial airway is causing overproduction of mucous, which causes chronic bronchitis and classic COPD. Inside the lungs, there is a branching system of progressively smaller tubes (called bronchial tubes), at the end of which are air sacs (called alveoli). The alveoli have very thin walls, and are surrounded by capillaries (the smallest blood vessels). When you breathe in, oxygen and carbon dioxide travel through the bronchioles to the alveoli, and then pass through into the capillaries, where they are absorbed by red blood cells. This “oxygenated” blood travels to the heart, and then the rest of the body. At the same time, carbon dioxide from the blood in the capillaries passes into the alveoli, to be passed out of the body when you exhale. This exchange of gases—oxygen in, and carbon dioxide out—takes just fractions of a second. But chronic bronchitis symptoms can prevent it from happening in the way it should. Chronic bronchitis symptoms are caused by inflammation in the airways and an increase in the production of mucus. Inhaled tobacco smoke and other noxious particles cause lung inflammation. When harmful foreign substances (such as bacteria, viruses, and other detrimental substances) enter the body, the immune system often responds by producing inflammation at the site of the threat. This serves to bring disease-fighting cells to the area where they are needed. In the airways, the presence of harmful substances also sparks the increased production of mucus to help move the substance out of the lungs. Acute bronchitis usually results from a cold or flu virus, and symptoms can last from a few days to a few weeks. For details, see our post Acute Bronchitis: 7 Hacks for Getting Past a Chest Cold. Under normal circumstances, once the infection or foreign substance has been eliminated, any inflammation and excess mucus production subside. In people with COPD signs and symptoms, the inflammation and excess mucus production do not completely subside, but instead persist. 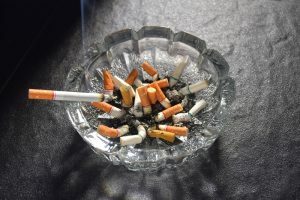 In addition, inhaled tobacco smoke can damage the hair-like cilia that normally help to sweep mucus out of the lungs and expel toxic substances. Constant inflammation in the airways and an overabundance of mucus can cause difficulty breathing, and a chronic cough. Other chronic bronchitis symptoms include fatigue and chest discomfort. Chronic bronchitis treatment involves a similar approach to that used to treat emphysema symptoms and COPD signs and symptoms. Drugs called bronchodilators can ease your breathing by expanding your airways, and you also may be given steroids to soothe airway inflammation. Find out more on our COPD medications list, and also check out some of the COPD home remedies that can help ease chronic bronchitis symptoms. As with emphysema symptoms, a major cause of chronic bronchitis symptoms is smoking, so you should quit smoking if you are diagnosed with either. bacteria, bronchitis, chest discomfort, chronic bronchitis, chronic bronchitis symptoms, chronic bronchitis treatment, chronic obstructive pulmonary disease, copd, copd home remedies, copd medications, copd medications list, copd signs, copd signs and symptoms, emphysema, emphysema symptoms, flu, health, home remedies, immune system, infection, inflammation, lung diseases, lung diseases list, mucus, obstructive pulmonary disease, pulmonary disease, quit smoking, signs of chronic bronchitis, smoking, tobacco, virus, what is chronic bronchitis. 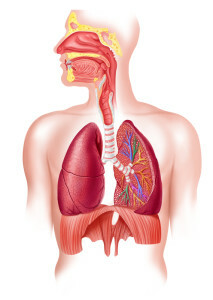 I was diagnosed of Pulmonary Fibrosis for 4 years, i have tried several doctors with different types of medications with no help, i was browsing the net and i came across Standard Herbs Home i decided to give a try and i purchased their herbal remedy and i used it for 3 weeks and i am totally cure of Pulmonary fibrosis. Thanks to you Standard Herbs Home. Visit Green House Herbal Clinic official web-site greenhouseherbalclinic. com. The infections, shortness of breath, fatigue, dry cough and other symptoms has subsided. I am very pleased with this treatment. I breath very well now and exercise regularly, sometimes i totally forget i ever had Emphysema, I am thankful to nature, the medics failed. Share with friends!! I thought you might be interested in this article on https://universityhealthnews.com: What Is Chronic Bronchitis?